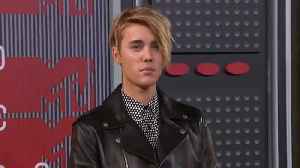 Justin Bieber's wife opened up about anxiety and insecurity. 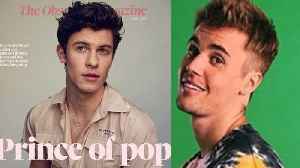 Remember when Justin Bieber came for Shawn Mendes over that Prince of Pop title and challenged him to a game of hockey?! Well now Shawn has responded and he’s ready to duke it out with the Biebs on..
Hollyscoop Headlines! | Hilarious Look Inside This Weeks CRAZIEST Headlines! All NEW Show! We are taking the craziest headlines from this week and breaking it down for you guys in our hilarious new show with Courtney Revolution & Maddison Conklin! Hailey Bieber RIPS OFF Selena Gomez As Justin Bieber Writes His Wife A Sweet Poem! Fans are freaking out because it looks like Hailey Bieber just ripped off a Selena Gomez selfie…But Justin Bieber is unfazed. The pop singer wrote a romantic poem for his model wife. The news you..
Khloe Kardashian FORGIVING Tristan Thompson! Kylie Jenner Has Put the Last Nail in the Coffin When It Comes to Her Friendship with Jordyn Woods and We Know Why! 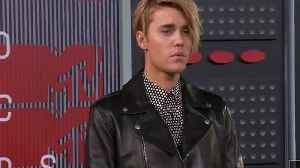 Plus…Justin Bieber Fans Take It One Step Too Far and Blame Hailey for His Mental..
Justin Bieber Fans BLAME Hailey For Mental BREAKDOWN & She Fights Back! Justin Bieber’s fans BLAME Hailey for his mental health struggles…BUT Mrs. Bieber is CLAPPING back. Some of you beliebers might be trying to take her down…but she’s letting it known she’s..
Justin Bieber and Hailey Baldwin are reportedly delaying their second wedding to focus their efforts on Justin’s current struggles with mental health and the big ceremony is now on indefinite hold..
[USA], Apr 25 (ANI): Justin Bieber's wife and model Hailey Baldwin is opening up about her mental health struggles.